The ‘Log Inn’ features a beautiful rustic interior with a large stone fireplace and three levels of living space. This 4-bedroom, 3.5-bathroom vacation rental cabin in Sapphire Valley Resort is charmingly furnished with antiques and mountain decor. It is the perfect setting for up to 10 guests looking for a memorable family vacation, wooded getaway, or golf retreat. 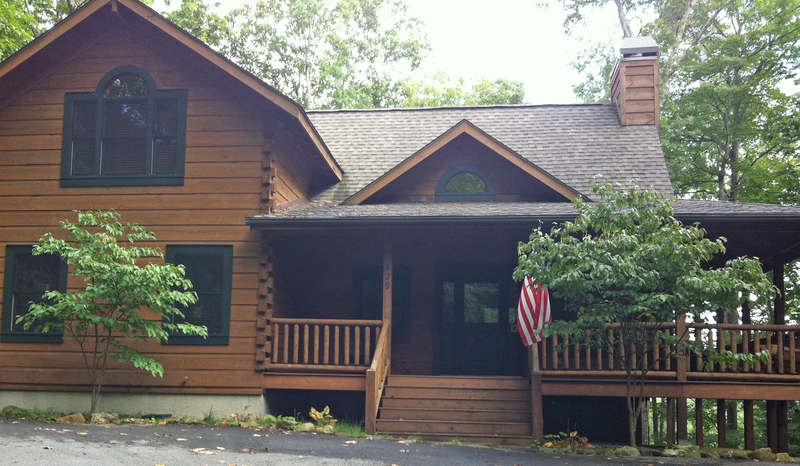 You'll love the peaceful privacy of 2 secluded acres and large rock faces covered in Laurel and ferns!